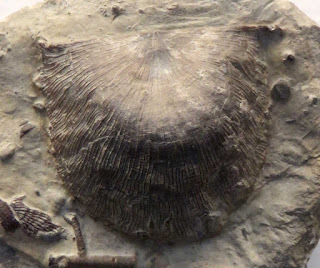 This image shows a Strophonella euglypha (Dalman) brachiopod fossil. It was found in the Silurian Period Wenlock series of Dudley Worcestershire England. Image taken August 2016. 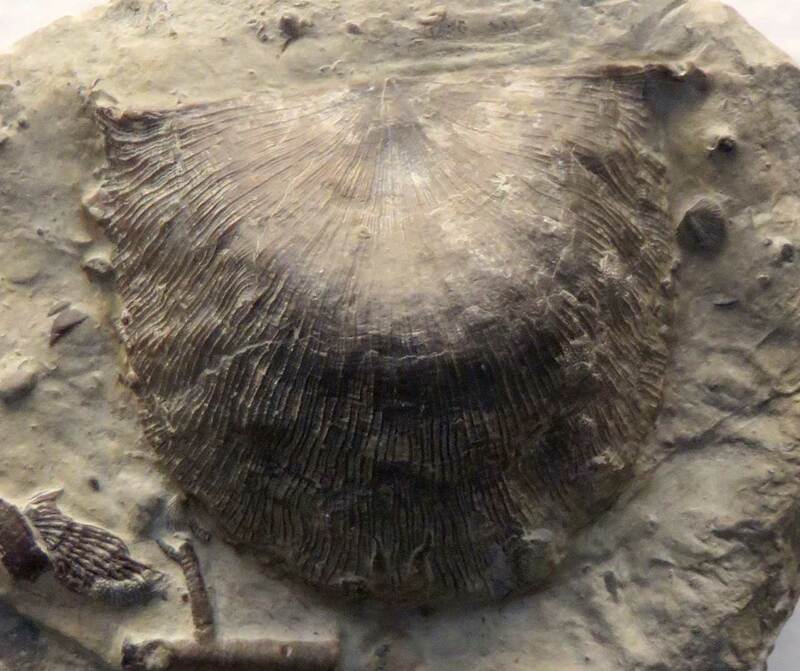 The fossil was on display at the British Natural History Museum.